Cosmetic Dentistry • Comments Off on Dental Myths 101: Too Old for Braces … Not! You are never too old for braces and a beautiful smile. Too old for braces? No way! You’re never too old to straighten your teeth. Adults can benefit from orthodontic treatment at any age, because age is not the determining factor. If your gums and bone are healthy enough to support movement, you are not too old for braces. About 75% of adults have crooked teeth or malocclusion (a bad bite). Crooked teeth and malocclusion are known to cause gum and bone loss, tooth decay, premature wear on tooth enamel, headaches and TMJ/TMD pain. Excellent treatment options are available to adults today because of the technological advances in orthodontic treatment, so go for it! Check with your dentist and find out if there is a treatment option available for you. Age does not determine whether or not an adult can wear braces. Periodontal health and the type of orthodontic problem are the determining factors. For example, if an adult is struggling with gum disease, the gentle moving of teeth within the bone that supports the teeth can aggravate the disease and make it worse. Periodontal disease must be brought under control before braces are applied. Certain medical procedures, conditions or medications may preclude treatment. Adults who have severe heart-valve disease, bleeding disorders, severe and uncontrolled diabetes and leukemia should check with their doctor and dentist or orthodontist before receiving orthodontic treatment. Adults who take drugs for the treatment of arthritis or osteoporosis should let their dentist or orthodontist know before treatment begins. These drugs can make moving teeth more difficult to accomplish. Smoking and certain medications tend to dry out the mouth increasing the risk of tooth decay and making orthodontic treatment more uncomfortable. The dentist or orthodontist needs to know about all medications being taken. What are the benefits to adults who are not too old for braces? Restoration of a healthy bite – Malocclusion is common in adults. A bad bite can be caused by overcrowded teeth. Overcrowded teeth get worse over time and trap stains easier, too. A bad bite can develop because of tooth loss when remaining teeth shift into the empty spaces. Realignment of teeth – Straight teeth are easier to clean. Because misaligned teeth can be harder to clean, tooth decay and gum disease are more likely to occur. Chewing comfortably versus uncomfortably because of a mal-functioning bite. A boost of self-confidence – A great-looking smile can dramatically boost your self-confidence by improving your personal appearance and self-esteem. It could quite possibly even give a boost to your career and your social life! Are there alternatives to wearing braces? Yes, and it’s called Invisalign. If the whole wearing of braces is holding you back from correcting overcrowded teeth or a bad bite, check with our office about Invisalign. Invisalign is a clear, virtually unnoticeable alternative to metal brackets and wires. It moves teeth gradually. It is removable and custom-made. Invisalign straightens teeth without calling attention to them as metal brackets and wires do. Invisalign is a wonderful option for adults who are candidates for braces. Dr. Patel and Dr. Dowty provide Invisalign treatment at Sherwood Dental, and our Invisalign patients are raving about their treatment! Some insurance provide coverage of Invisalign treatment. If you provide our office with the necessary information, we will be happy to contact your insurance provider to determine your orthodontic coverage, or you may contact them directly. A lot has changed in the world of orthodontic treatment years ago. Clear or colorless braces, braces placed on the tongue side of teeth and of course, Invisalign are now available options for adults because no one is too old for braces. You don’t have to live with crooked teeth, and you are not too old for braces. 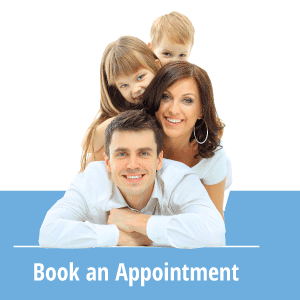 Call Sherwood Dental at 780-464-4166 today. We will determine whether or not your gums and bone are healthy for orthodontic treatment. You can have a beautiful smile at any age!